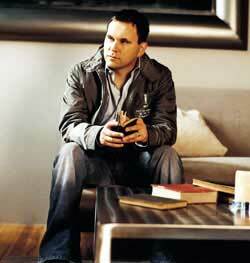 The idea of reverence is one that is not lost on songwriter/worship leader Matt Redman. In fact, the topic is one that he consistently finds himself coming back to again and again in an effort to rediscover its meaning. His commitment to the task is no doubt a character trait that makes him one of the most respected and widely embraced songwriters and worship leaders today. Redman's name is synonymous with integrity and his songs, "Heart of Worship," "Better Is One Day," "Let My Words Be Few," "Once Again" and others, have impacted congregations across the world. Leading a generation of worshippers, his music has also been recorded by such popular artists as Michael W. Smith, Rebecca St. James, Passion and more. With the release of his latest CD, Facedown, Redman has once again captured the heart of true worship with a collection of new songs that provide fresh insight and inspiration. The album was recorded live at North Point Community Church in Alpharetta, Ga., as part of a three-day conference called Facedown: A Gathering for Songwriters. "Every night it felt like we had an encounter with God," Redman recalls. "I think many people left changed. I know I did. There was such a sense of God's glory shining around." The gathering of more than 350 songwriters lifting their voices created a powerful setting, a perfect backdrop for Redman's first live recording. "I think you can convey something on a live album that you can't always convey in a studio," he explains. "There's something about the people of God singing the praises of God in the presence of God. If you can capture that on a live recording, it's a dynamic you won't find anywhere else on the face of the earth outside of the church. Why do we call these albums worship albums? I feel that it has to be more than a collection of songs melodically suited for a congregation to sing. I'm aiming a little higher. There's something that happens when the people of God are in the presence of God, singing their hearts out and letting them overflow before him." The album's focus is a reflection of Redman's passion about rediscovering true reverence in the act of worship-what he refers to as "facedown" worship. It was the theme of the songwriter's conference and became the title of the new album, a DVD and Redman's third book, releasing this summer. "It was probably crazy to try to do all of these projects at the same time," he admits, "but I'm really passionate about the whole theme. So much of worship that goes on in scripture is facedown. And when you find a facedown worshiper in scripture, those people have seen the glory of God. When we face up to the glory of God, we find ourselves facedown in worship. For me it's like the ultimate physical posture of reverence, a reponse to the wonders, mystery and greatness of God. I knew I wanted to write songs that speak on these things and I wanted to write a book that taught about these topics and issues. "This theme of reverence has been like a snowball that has continued to grow bigger within me," Redman continues. "I think we'll never get the full expression of what we know to be true of God, in terms of how great He is. Even the little glimpse that we see-it's very hard to convey that adequately in a song. I guess I'm on a quest to paint a bigger picture of God. Psalms 66 says, 'Sing the glory of His name. Make His praise glorious.' That little verse has really spurred me on. I want to sing the glory of His name. We sing about His love and His grace, but I want to sing about the glory of God too. It's so important." Produced by Nathan Nockels (Watermark, Passion) and mixed by Tom Laune (Passion, Michael W. Smith, Nicole Nordeman) at his studio in Nashville, Facedown is a collection of 11 new songs, plus two spontaneous moment tracks, featuring Redman's signature guitar-driven, modern rock sound. Also featured on the album are Christy Nockels on vocals, Nathan Nockels on keys and guitars, John Ellis (Tree 63) on guitar, and Terl (Iona) and David Raven (session drummer for The Swirling Eddies, etc.) on drums. The lyrics take a creative and introspective look at why and how we worship on songs like "Gifted Response" and "Worthy, You Are Worthy," which features additional vocals by Chris Tomlin. The album's title cut, with its central theme, produced a special moment in the live recording. "Facedown was one of the songs on which you hear everyone singing the least," Redman explains. "When I first heard it played back, I couldn't figure out why the voices weren't louder. But then I looked back at the photos from that night and all of a sudden I realized why. It was because everyone had fallen down on their faces, bowing down on the ground in a spontaneous moment of worship. They weren't lifting their voices up toward the microphones because they were on their knees, facedown. That's a great reason to not be hearing people sing!" Facedown is Redman's first CD on the sixstepsrecords label, helmed by good friends and Passion founders, Louie and Shelley Giglio. The partnership with sixstepsrecords was a natural fit for Redman, who says it's all about family. "I've already been doing so much with them and writing together with their other songwriters," he explains. "My wife Beth and I have a lot of respect for Louie and Shelley Giglio. They're obviously consumed with the glory of God and they're doing everything they can to project that. I'm very excited about working with them on this level. There's something so exciting about seeing a movement that God has raised up when it's something no one tried to make happen or manufacture. It wasn't a clever business plan, but it was a groundswell of this Holy Spirit-initiated ministry. It's quite a humbling and inspiring thing to go to an event like OneDay and see tens of thousands of young people crying out to God for their nation. I believe some of the most wholesome worship albums around are coming out of this movement and this label. There's a depth in the lyric and a creatively fresh expression which is serving churches around the world." As Redman continues to be an inspiration in worship settings around the world, he is committed to the role God has placed on his life for this season. Whether it's providing a new crop of songs for congregational worship or mentoring new songwriters and worship leaders of tomorrow, he has become one of the defining artists of this generation. "I can look back on the past few years of writing songs and see what God has been doing in my life," says Redman. "It's a bit like journaling. It's just part of me and it's how I let my heart overflow before God. But on top of that, when you've poured out your heart to God in a little room somewhere, and then one day you visit a church in another country and they're singing your song, it's a great encouragement, because ultimately that's what the songs are for. It makes me more passionate about trying to write songs in a way that lots of different people can sing. That's the heart behind it all. Sing first with an eye towards God - let every melody and word be an inspired heartfelt response to Him. But sing also with the church in mind - crafting that inspiration in a way that might help others give voice to their worship of Jesus."